Picking up 51 points from a possible 66 is title-winning form, but despite grinding out a 1-0 win at third-placed Bayer 04 Leverkusen on Sunday, Borussia Dortmund still . Read: Who is Christian Pulisic? Winning at the BayArena was something leaders Bayern failed to do a fortnight ago, but BVB managed to grind out the type of victory that many claim 'win titles'. 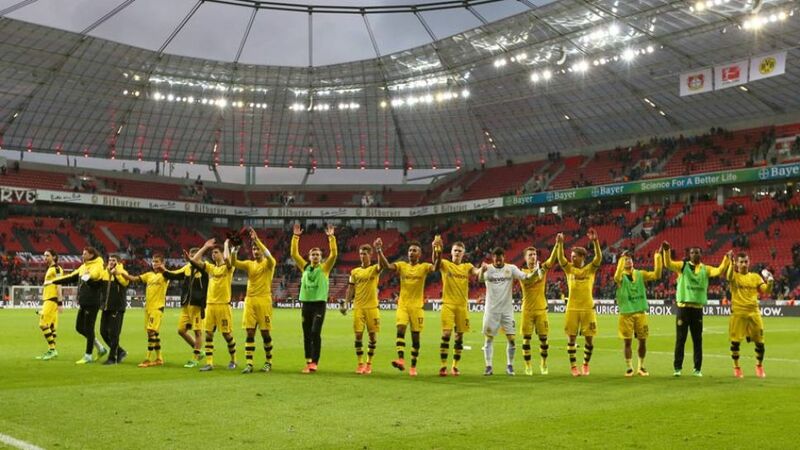 It was not easy on the eye, but it ended in a triumph which moved Thomas Tuchel’s side . "We knew it would be a tough match," said Tuchel, whose side are unbeaten in 2016, picking up six wins from a possible seven. "We know that Leverkusen have their own, very intense, playing style." In a bid to try and combat Die Werkself’s approach, Tuchel made five changes to his team in order to have "players that were fresh" on the pitch, including young American attacking midfielder Christian Pulisic.